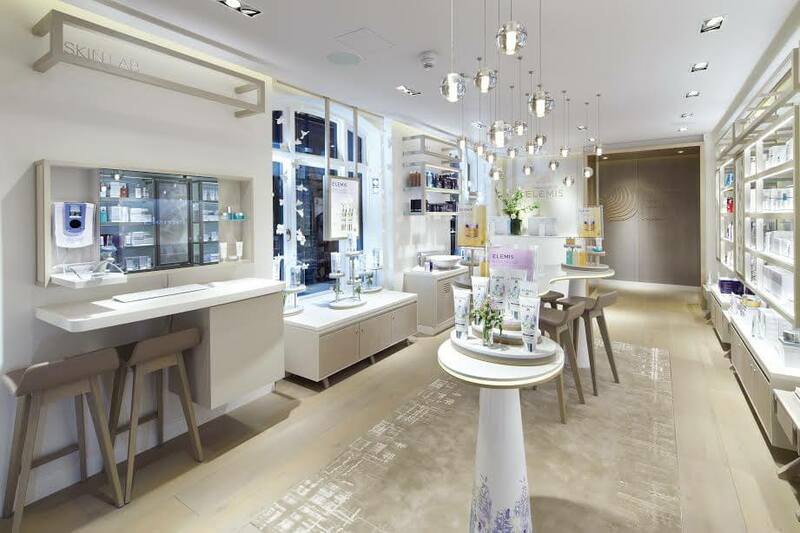 Founded over 25 years ago, the House of ELEMIS is a couture beauty house where, as their motto states, ‘spa meets science meets skin’. The three-story spa, which merges the power of nature, science, and aromatics, is tucked away from the hustle and bustle of the nearby Oxford Circus in a comfortable corner of Mayfair. With an enviable list of celebrity clientele and a long history of exceptional service, I had high expectations about the House of ELEMIS – and it exceeded them all. After a warm greeting from the staff, I sat with a refreshing complimentary beverage and was handed a short survey to fill out about my skin, before being greeted by my friendly therapist, Lauren. Relaxation was almost instantaneous as I entered the luxurious private penthouse. Everything from the soothing lighting to the plushness of the massage table ensured I felt totally relaxed. Once settled, Lauren and I discussed the areas of my skin using pioneering photo technology to analyse spots, texture, wrinkles, pores, brown spots, and red areas on my face. After explaining the results of each photo and what they meant for my daily skincare routine, my skin was a match to receive the House of ELEMIS’ customized BIOTEC Skin Resurfacer facial; a revolutionary facial for a refined, even skin tone. Alongside their Peaceful Pregnancy Massages, BIOTEC facials are the most popular treatments at The House of ELEMIS. The innovative BIOTEC treatment combines touch and technology to ‘turn the skin back on’ and re-plump the skin using an ultrasonic peel. As someone with a low pain tolerance, I was a bit worried, as Lauren said many clients are, that the light therapy from the BIOTEC machine would hurt – but I actually found the sensation quite soothing. The steam and extraction combined with massage and light therapy deeply cleansed and detoxified my skin, unlike any other skin treatment I have experienced. The products that Lauren used during the Skin Resurfacing Facial, which included lactic and hydraulic acids, sandalwood, thyme, and lemon oils, felt and smelled fantastic, leaving my skin hydrated and glowing by the end of the one-hour treatment. Following the treatment, I was offered an isotonic blend of medical-grade charcoal and raw cane; a surprisingly delicious combination designed to cleanse, reload and balance the body. To end a pleasant spa experience, Lauren and I discussed the results of my facial and talked about the continual upkeep of my skin, with Lauren answering every question I had about skincare with a great deal of enthusiasm, knowledge, and professionalism. But I’m not the only one who has enjoyed treatments at The House of ELEMIS, though. This revolutionary spa boasts an impressive list of famous clientele, ranging from Victoria Beckham, whose social media post about their Japanese Camellia Body Oil Blend garnered international attention for the beauty house, to Kylie Minogue and several cast members of the television show Made in Chelsea. The House of Elemis is not only home to the private penthouse but also a speed spa and pregnancy room. The first is an elegant space devoted to manicures, pedicures, waxing, and many other beauty treatments, while the pregnancy room is a serene, comfortable retreat for clients to enjoy massages, facials, or other treatments in peace. What are you waiting for? Experience pure bliss for yourself! Enjoy a facial, a treatment for two, or a restorative massage at the House of ELEMIS.